NASA Wants Mars Curiosity Rover to "Drive Less And Do More Science"
NASA plans to extend seven of its ongoing planetary missions, a review panel announced yesterday. Two of the missions, the Lunar Reconnaissance Orbiter and the Mars rover Opportunity, were at risk of being shut down, but it was Mars rover Curiosity that drew the least-favorable reviews, and the harshest criticisms. 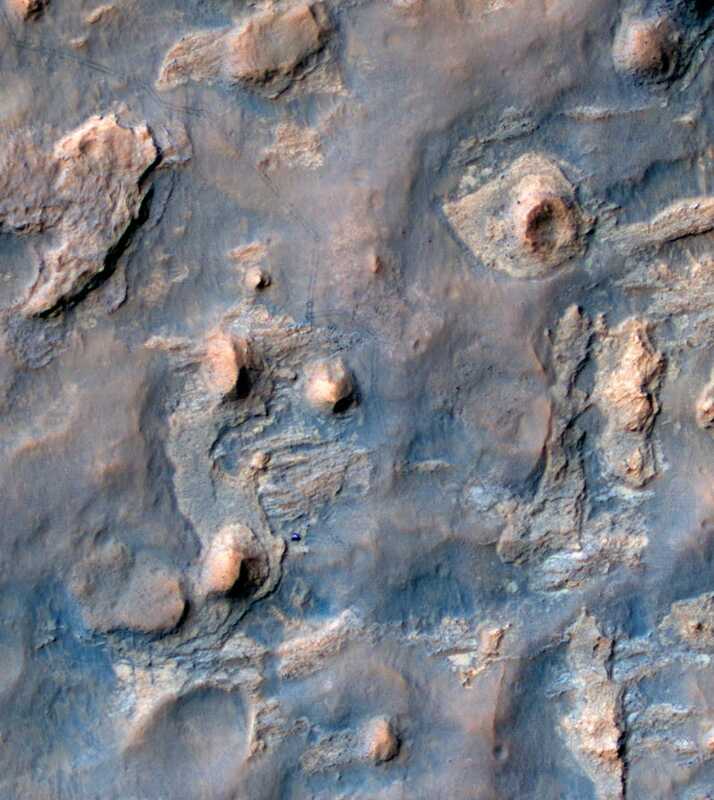 Above: Tracks left by the Curiosity rover, whose mission a NASA review panel extended Wednesday, can be seen on the surface of Mars, in a photograph captured from the Mars Reconnaissance Orbiter (another extended mission) by NASA's HiRISE camera. According to Bill Knopf, lead program executive for planetary mission operations at NASA, the Agency wants Curiosity to leave fewer tracks and more drill-holes. The panel was disappointed that the rover team was planning to drill and analyze just eight more samples during its extended mission. "The panel essentially said, 'Drive less and do more science,' " says Bill Knopf, the lead program executive for planetary mission operations at NASA headquarters in Washington, D.C. Based on the review panel's findings, NASA has asked the Curiosity team to revise its science plan. Curiosity, in other words, has a new modus operandi – drill, baby, drill. What is Cassini&apos;s most amazing discovery?